Voodoo Doughnut to bring it’s sinfully delicious flavors to Universal Orlando Resort! The doughnut shop with a cult following is arriving east of the Mississippi at Universal CityWalk. When: The new Voodoo Doughnut location is set to open at Universal CityWalk in Orlando this spring. Stay tuned at UniversalOrlando.com, the Universal Orlando blog and social channels for more information. 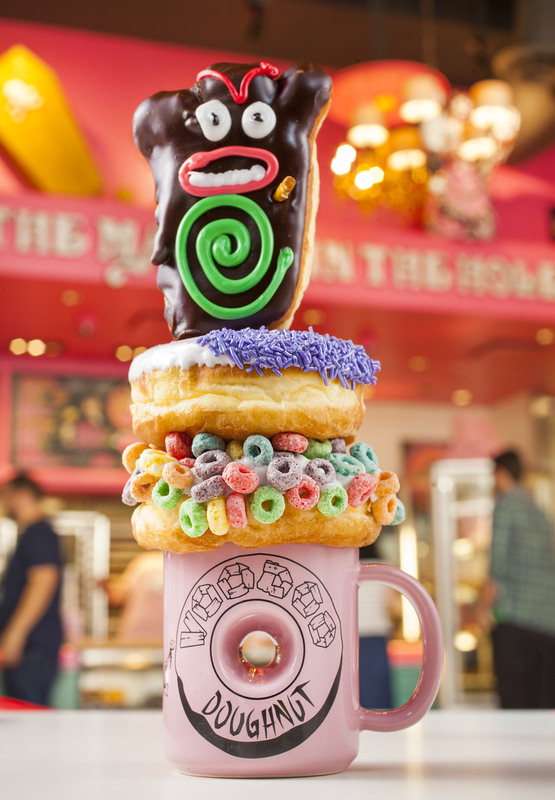 Voodoo Doughnut will open this spring at Universal CityWalk, Universal Orlando Resort’s entertainment and dining complex. Loved for its sinfully delicious, delightfully weird lineup of fried creations, Voodoo Doughnut will feature signature originals and one-of-a-kind delectables such as the Dirt Doughnut, the Bacon Maple Bar, Grape Ape and, of course, Voodoo Doll doughnuts. Good Grief!! Knott’s Peanuts Celebration Is The Perfect Addition To The Knott’s Seasonal Events Lineup!